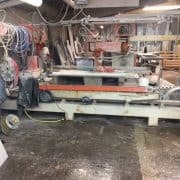 Manual Contouring machines for marble and granite working. 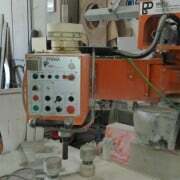 Other than contouring, these kind of machines can execute shaping, drilling, smoothing and milling. 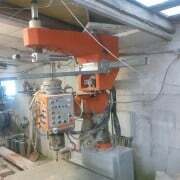 Contouring machine are mostly used for making kitchen countertops, bathroom countertops and tables in a manual way. 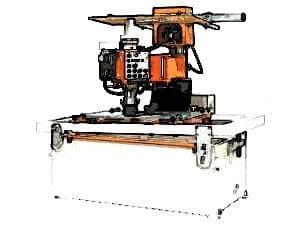 The use is similar to a radial arm polisher but the movement follows a metal or wood template in order to allow a precise working that follows the shape of the template. 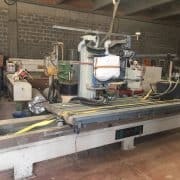 The most famous makers of contouring machines are: Ravelli, MBM, Thibaut.